Large two sided Projection sign. 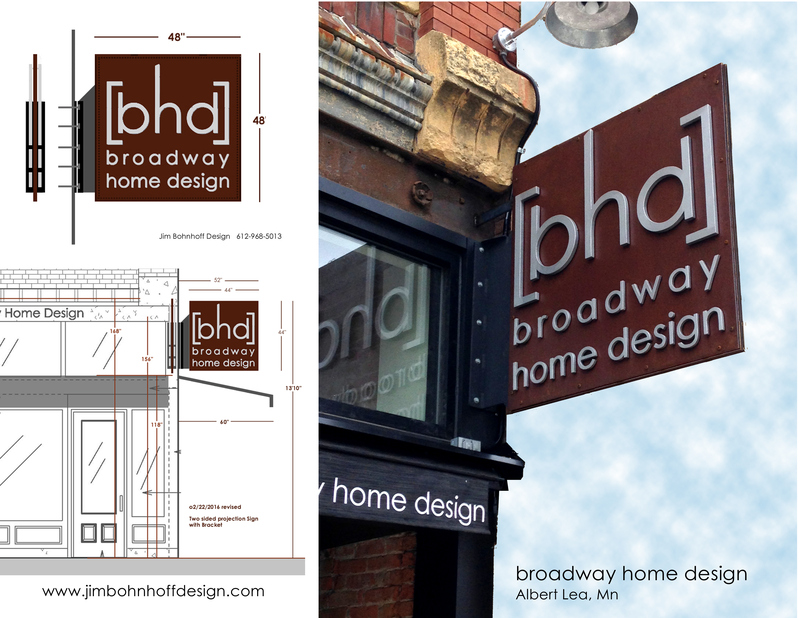 New exterior projection sign for broadway home design a new home store in Albert Lea, Minnesota. broadway home design completely remodeled a historic building in downtown Albert Lea, Minnesota. The store owned by Brett and Jess Richards had been located in Geneva, Minnesota for many years. This 4' x 4' two sided projection sign with raised letters is the first sign I have completed using corten steel panels as the backing material. I learned much in the process and learned how to create a beautiful patina on the steel. I also designed the custom bracket and interior steel framework which were fabricated by Mike Peterson welding.